An enchanting, joyous experience with The Lady of the Rainbow, where the children participate in her unfolding story and uplifting songs! The theme of the show is the magic of smiling, kindness and believing in yourself. The children are engaged and delighted by vibrant illustrations, dazzling lights, movement and dance. While echoing her words in Smile and See, the children learn about the echo effect of smiling and being kind. Clapping and dancing to the music of Everybody Loves When Someone’s Smiling makes everyone smile! Every child plays a musical instrument during It’s Up To You and Reach For Your Dreams, songs that reinforce character values, making the most of every day, and believing in yourself. 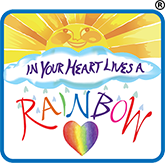 The children have an exhilarating experience lifting a rainbow parachute with The Lady of the Rainbow while she inspires them to Brightly Color Every Day, by being a good person, finding happiness, and spreading it to others. A multicultural celebration of Love and Unity! The story and songs focus on caring, respect, sharing, and embracing diversity. The audience goes on a magical adventure with children from around the world on an ever changing rainbow. They experience the joy of giving and sharing during the song Fountain of Joy, while dancing and twirling colorful feathered boas. One of the highlights of the show is when every child holds onto a “living rainbow” during the song In Your Heart Lives a Rainbow, and a multi-lingual song called All Hearts United while the children learn hand motions that convey each message. 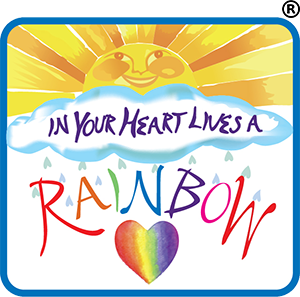 The Lady of the Rainbow shares her story and songs that relate the growing cycles to character building! Using vivid hand and body movement, the children feel the momentum and joy of growing from a seed into a majestic tree during The Tree of Life, a song that emphasizes believing in yourself and reaching out to one another. Skipping and playing musical instruments in a procession, the children realize that they shouldn’t worry about making mistakes because that’s how we learn and That’s How We Grow. Every child holds a stem of colorful silk flowers during The Nurturing Song, learning that “it’s our job to nurture each other.” While listening to a song about a caterpillar they are delighted when The Lady of the Rainbow makes realistic butterflies fly near them to drink nectar from their flowers.